Michael Isaac Almond is a Visual User Experience Designer in San Francisco. I love to design clean, elegant, easy-to-use digital products. I have over 15 years of corporate and agency experience including lead roles on enterprise applications, cloud-based SaaS solutions, social media applications, designing for mobile and consumer-facing Web sites. My previous experience as an art director and campaign organizer for a leading social marketing media agency continues to inform my work. Areas of focus include visual design, User Experience design, interaction design, product design, prototyping, UX standards and guidelines, typography, color theory, branding, and usability principles. Summary: In 2015, SAP mandated that all their software, applications and UI technologies converge to a new UX, named "SAP Fiori." SuccessFactors decided that all new products would be built using UI5, the code base used for native "SAP Fiori" applications. 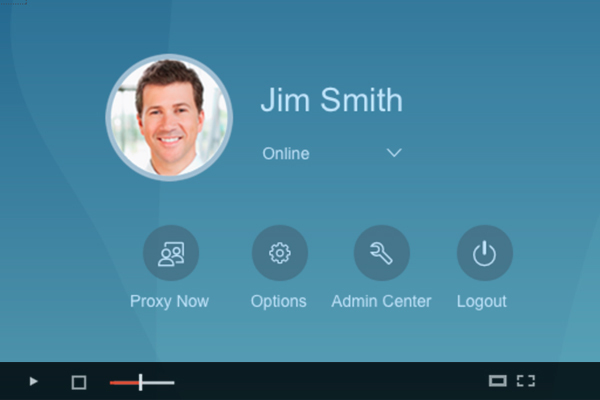 These new products would automatically adopt the Fiori look and feel because the style was part of the UI5 framework. However, the SuccessFactors suite included 20 existing products that were built using different technologies and different visual styles. Solution: I led a project that updated the SuccessFactors suite to simulate a "SAP Fiori" application experience without the need to implement UI5 code from scratch. 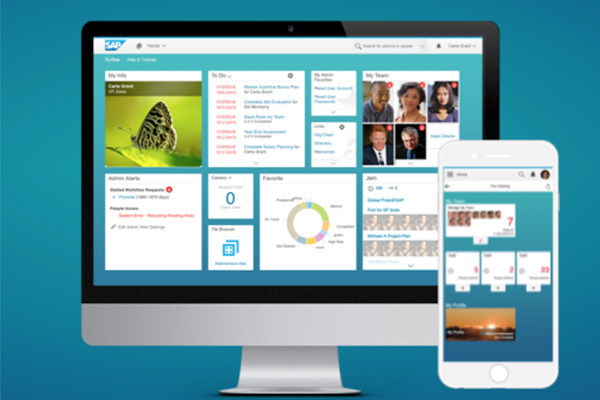 The working team applied "SAP Fiori" visual and interactive design treatments to the SuccessFactors global framework. The update covered standard controls, global CSS, layouts, UI themes, color palettes, iconography, and typography for all legacy pages. Summary: SAP SuccessFactors' Accessibility practices help prevent people with disabilities from being excluded from accessing content. The practices include designing for users with color vision impairment (also known as color blindness). Challenge: We don't recommend using color alone to communicate information in data visualizations ("color coding") because it can cause problems for those with color vision deficiencies. They have difficulty perceiving certain color contrasts due to colors shifting. However, the use of color can enhance comprehension. There are also times when it's hard to avoid any color coding; for example, in many charts and graphs. 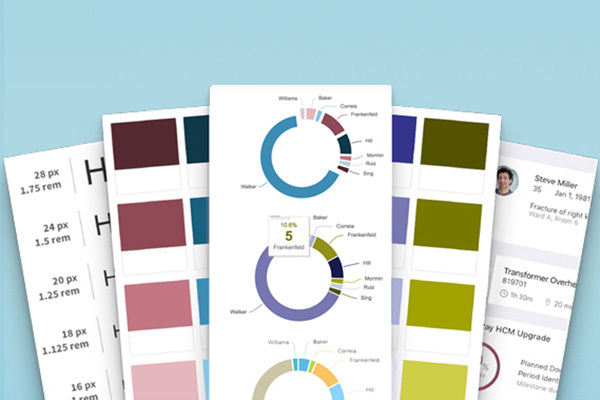 Solution: Create a feature that screens users with color blindness for the particular type they have so that the system can then automatically apply a custom color palette to data visualizations across the SuccessFactor suite. The color-safe palettes have colors that won&apos;t shift, so information is communicated correctly to users with any one of the three most common types of color vision impairment: Deuteranopia, Protanopia, and Tritanopia. 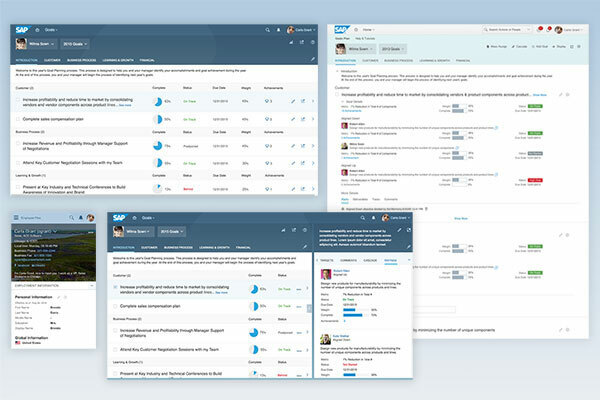 Summary: I designed, managed and updated a UI theming tool for SAP SuccessFactors. The feature allowed customers and sales people to change the style of their copy of the software suite to match their company's branding. The feature was consistently cited by sales people as one of the top factors in winning competitive sales engagements. Summary: I conceived of and designed a feature that was added to SuccessFactors' Employee Profile page that allowed employees to record the pronunciation of their name in their voice. The recording was then available to anyone visiting the profile page. The feature was very well received by customers. Summary: I worked with a team to design and build a global search feature for SAP SuccessFactors that allowed users to type characters in a field and immediately get a list of results that included employee names as well as a list of actions based on a company's custom list of terms. Actions were completed faster because users didn't have to navigate to find a link or control to launch a task. Summary: I led the redesign of two of SAP SuccessFactors' core products: the Performance Review Form, which is the primary workspace for the Performance Management application and the Goals Plan UI, which is the core of the Goals Management application. The design solutions included updates to the visual design, interaction design, information design, page layouts and UI technologies. Summary: I led a project that explored moving the SuccessFactors Suite toward adoption of "SAP Fiori 2.0" features, UI Patterns and technologies through design explorations, proof of concepts, testing, and advocacy. 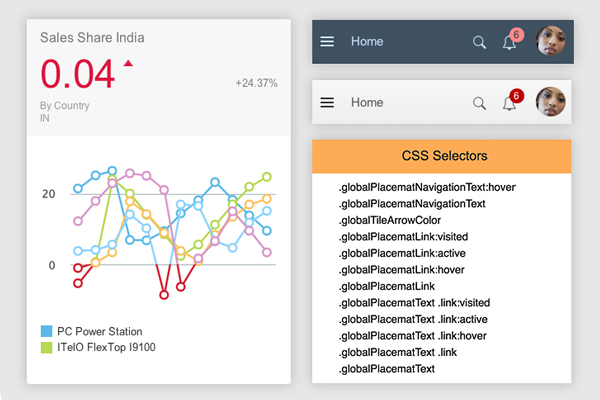 HTML prototype of the SAP Fiori 2.0 "Launchpad Viewport" with "Belize - Light Flavor" theme applied to an exploration of the next version of SuccessFactors' Home Page. HTML prototype of the SAP Fiori 2.0 "Flexible Column Floorplan" with "Belize - Dark Flavor" theme applied to an exploration of the next version of SuccessFactors' Goals Plan UI. Modification of an SAP HTML prototype by Jeong-Sook Lee showing the "Belize - Dark Flavor" background animation applied to pages with SuccessFactors' content. Summary: Vodafone Group is a British multinational telecommunications company headquartered in London, UK. It has revenue of £42.22 billion GBP (2015). 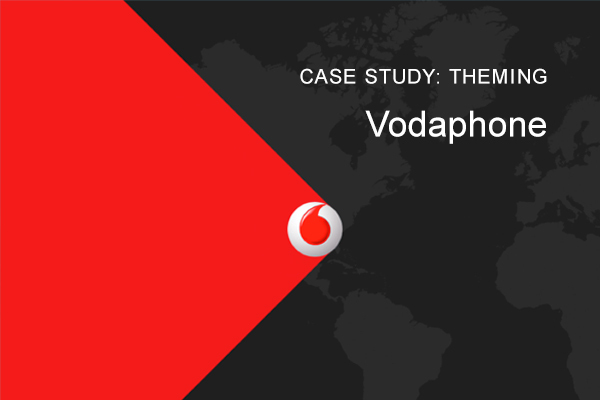 Vodaphone asked for SuccessFactors&apos; assistance in creating a custom theme that matched their branding. They didn&apos;t feel they or their partners could push theming to its limits to create a great UI – their teams simply didn&apos;t have the expertise. As Product Owner of the UI Theme Creator, I worked directly with sales team members and Vodaphone on a well-received theme based on Vodaphone&apos;s online branding guidelines. View a few samples of my Web site and Web application designs from the not-so-distant past. Clients have ranged from large consumer-facing companies to social change, public interest, non-profit organizations. View samples of my logo design work from the not so distant past. Clients have ranged from large consumer-facing companies to social change, public interest non-profit organizations. View samples of my print design work from the not-so-distant past. Clients have ranged from large consumer-facing companies to social change, public interest non-profit organizations. Michael is a dedicated communicator with an impeccable track record for follow-through in both highly detailed and executive-level tasks and deliverables. Michael was a dedicated asset to our group. He was able to come up to speed quickly on a very complex project, and give us usable, clean designs. 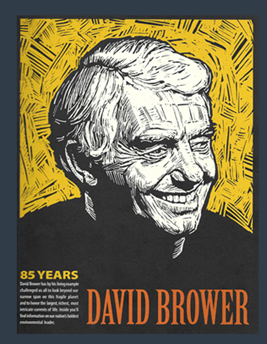 His good work allowed us to bridge the design gap at a critical time in a large project. Michael is one of the best creative directors I have engaged with. His eye for design, his understanding of brand creation made him a true asset to my team, and a threat to our competition.